Very excited to start 2018 with a new adventure. 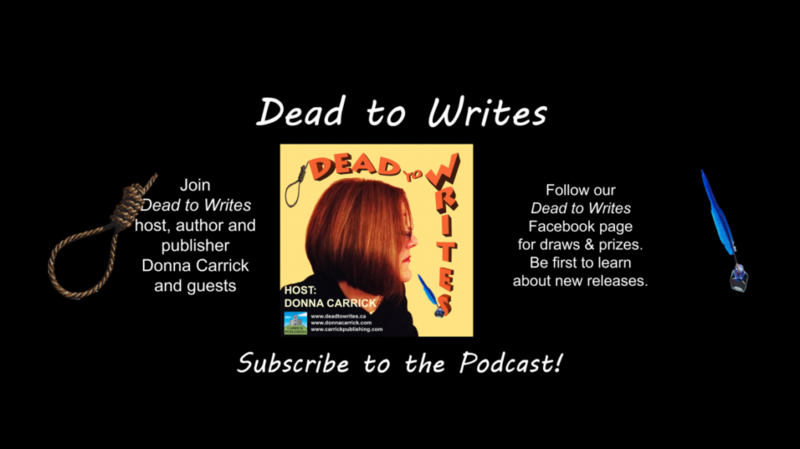 My friend, Donna Carrick of Carrick Publishing has launched a new podcast, Dead to Writes. I’m honoured to be one of the first authors featured on the podcast. I’ve been on radio once before on Sirius XM as a guest of Allison Dore. : a breathtakingly stressful adventure. We went overtime on our talk, which means all went well and Allison and her radio crew earned my undying admiration. Huge amount of work and prep goes into every minute of a radio interview. Tonight, January 8th, my interview with Donna goes live followed by the audio version of my story, “Snake Oil”, from the Mesdames of Mayhem’s latest anthology, 13 Claws. Stand by for a thought-provoking discussion on crime fiction and writer’s craft. Tune in via iTunes or Google Play. See you tonight! Previous Previous post: HAPPY HOLIDAYS, READERS!